The launch proposal consists of providing a complete infrastructure for financial applications without permission (free participation). These applications can serve a decentralized economy, with transactions in real time and free for consumers. At the same time, the whitepaper talks about "an almost unlimited scalability". · Ortus v1.0.0 dxPoS consensus. 1st step implementation. · Servers for transactional gateway portals. · Mobile & web wallet. · Blockchain analysis and statistical tools. 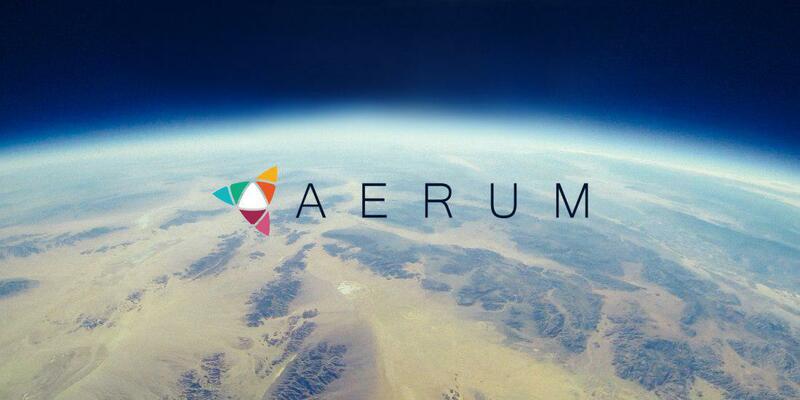 - Aerum is a decentralized platform targeting enabling small and medium size businesses to build FinTech solutions, tokenize their economies and reward programs, enabling P2P markets. - Aerum team developed a blockchain protocol that offers free transactions to consumer in a real-time fashion, provides stable performance and high throughput (above 800 transactions per second measured) to business participants for building dependable systems. - Aerum had developed a cross-chain Proof-of-Stake consensus protocol with economic model built to incentivize business application owners to become Validators on the network and get access to free transaction execution to subsidize transaction costs for their customers. - Aerum protocol is governed and powered by XRM ERC20 token, used to stake the network though use with Aerum's governance smart contracts on Ethereum mainnet, there are 1 billion XRM tokens minted and no more can be created. - Aerum is launching an Aerum blockchain mainnet Ortus 1.0 with its selected partners on March 20th 2019 with a firm goal to implement a first protocol upgrade ahead of schedule, by the end of April 2019, which will add important key protocol elements to the mainnet Ortus 1.1, such as: Masternodes, Aerum Hearbeat protocol, Aerum TrueChain (nothing at stake/forking attack prevention) and Stake Reward facility. - Stake Reward Facility launching with Ortus 1.1 will be loaded with over 30% of minted tokens that will be distributed on the weekly basis to all network staking participants on pro-rata principle at rate of 0.5% of remaining tokens per week, starting with 1,500,000 XRM tokens first week of May 2019. - Aerum is preparing to launch a B2B Cloud Blockchain company focusing on providing commercial integration, maintenance and SLA blockchain service provisioning to business participants to speed up the real business case adoption starting with its already impressive partners portfolio. - Aerum token XRM is currently offered to purchase on LATOKEN and Exmarket launchpads until April 1st 2019, when the full trading will go live and token offering stops.